"We used them to move, they where friendly, fast and did a great job. They packed one day and came back the next to move..." - Debbie F.
"I loved working with these guys, they were flexible, aware and communicated with each other to prevent damage to some difficult items in some tight places..." - Wendy S.
"We recently used Lake Union Movers for our move from Ballard to Queen Anne Hill. Joe and his crew were by far the best movers I've ever worked with..." - Chris M.
Seattle moving is booming! Thousands of people move each year in, out, and around Washington State, with a lot of moving to Lake Union, moving to South Lake Union and surrounding areas. Lake Union is growing at a rapid pace with Amazon and now Google also bringing jobs to the Seattle market. Why do people like Seattle? Why are so many moving to Seattle? Why do people like Seattle? Click on the link to read why so many people are moving to Seattle in 2017-2018. 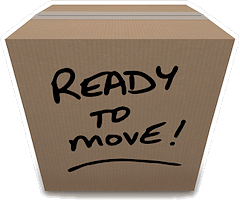 Whether you need local moving or long distance moving (through All Country Movers), you have come to the right place. Our goal is to be the best local and best Seattle long distance movers. Read about moving to Lake Union in this detailed article that helps you understand how South Lake Union went from a midday "ghost town" to suddenly a booming area for tech jobs. Across the Puget Sound, we offer a variety of moving services that include long distance moving. 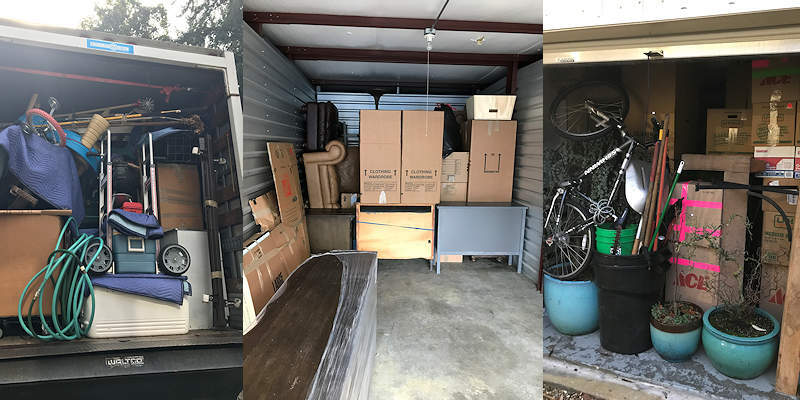 Read about our long distance moving services to or from: Bellevue, Mercer Island, Redmond, Kirkland, Issaquah, Bothell, Sammamish, Snoqualmie, Woodinville, Ames Lake, North Bend, Newcastle, Renton, Richmond Beach, Kent, San Juan Islands Moving, Everett, Bainbridge Island, Orcas Island, Oak Harbor, and Friday Harbor. We hire responsible employees that have experience and are hand trained by the owner himself. We take pride in the moves we accomplish, many times finishing our moves under budget, with no damages, dings, or scratches, leaving you with a Five Star Feeling. Once you are fully satisfied with our service, you will have no problem referring us to your family, friends, and co-workers with confidence. We tackle many popular moves to or from Seattle including Seattle to California moving, Seattle to Los Angeles moving, Seattle to San Diego moving, Seattle to Portland moving, Seattle to Denver moving, Seattle to Chicago moving, Seattle to Colorado moving, Seattle to Arizona moving, Seattle to Phoenix moving, Seattle to Sacramento moving, Seattle to San Jose moving, Seattle to Oakland moving, Seattle to Tucson moving, Seattle to Lake Tahoe moving, Seattle to Eugene moving, Seattle to Salem moving, Seattle to Redding moving, Seattle to St. George moving, Seattle to Palm Springs moving, Seattle to Colorado Springs moving, Seattle to Oxnard moving, Seattle to Indio moving, Seattle to Provo moving, Seattle to Bakersfield moving, Seattle to Fresno moving, Seattle to Laredo moving, Seattle to Madison moving, Seattle to Minneapolis moving, Seattle to Fort Wayne moving, Seattle to El Paso moving, and Seattle to St. Paul moving. If you need Seattle moving and storage on the same day, we've got you covered, with a ton of experience moving belongings and furnishings between storage units, to homes, condos, and apartments. We move Seattle to Eastern Washington incudling direct moves from Seattle to Kennewick and the Tri-Cities. We are highly experienced with downtown moving, and offer Seattle downtown high rise moving. We can take care of all the necessary parking permits in advance, giving you one more reason to higher us for your Seattle moving. We've moved a lot of people into Seattle high rises over the years. So what is it that draws people to that kind of lifestyle? A short commute is one reason. Many high rises have amazing views, a lot of windows, and lots of square footage. There's more and you can read all about it here: Moving to and Living in a Seattle High Rise - What's it Like?. Full service moving in Seattle is simply the way to go in the modern day. Leave the stressful, back-breaking work to the pros and take it easy on moving day. We do it all. As full service Seattle movers, we offer Seattle Packing / Unpacking Services to help maximize a completely stress free move, where you don't have to pack or unpack your belongings. Leave that job to the experts. That includes extra care and attention to fine china and anything else that is fragile or easily scratched or broken. 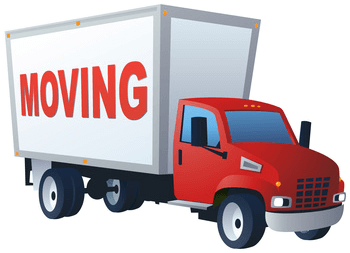 In addition, we can provide Seattle Moving and Packing Supplies so that you don't have to race around the city finding all the items you'll need to be properly packed for your move. This is an optional service so please discuss with us when you call or request a quote online. Shoreline, Lake Forest Park, Bothell, Kenmore, Woodinville, Woodway. 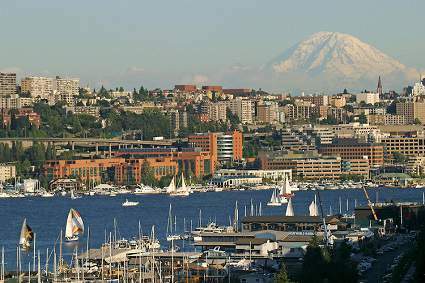 Kent, Renton, Des Moines, SeaTac, White Center, Tacoma, (Read more in South Seattle moving). Our trucks can take you anywhere in the state. Whether you're moving from Seattle to Spokane, or moving from Seattle to Portland, Seattle to Vancouver, or moving from Seattle to Tri-Cities, or moving from Seattle to Tacoma, or moving from Seattle to Bellevue, or moving from Seattle to Redmond, or moving from Seattle to Lynnwood, or moving from Seattle to Yakima, moving from Seattle to Poulsbo or moving from Vancouver to Seattle, Seattle to Lake Chelan, or moving from Seattle to Wenatchee, or moving from Seattle to Roslyn, or moving from Seattle to Vancouver, or moving from Seattle to Portland, ourmoving crews are ready to provide you with a quality move at an affordable price. As Seattle movers operating out of Lake Union, this puts us in close proximity to just about all of Seattle. We provide moving to North Seattle, Ballard, Beacon Hill, Belltown, Bitter Lake, Broadmoor, Broadview, South Lake Union, Green Lake, Queen Anne, Montlake, Eastlake, Westlake, Blue Ridge, Richmond Beach, Wallingford, West Seattle, Alki Beach, and other neighborhoods across our hometown city. Why is Seattle such as draw to people from outside the state and even from overseas? For one, Seattle has a rich history and the City of Seattle has been able to capture a lot of that history in its local parks. For example, read about Seattle Neighborhoods – The History of Sand Point and you'll understand why so many neighborhoods have so much to offer newcomers. That also includes Beacon Hill, Ballard, Capitol Hill, and Northgate. If you found our website while researching the Seattle Eastside as a possible place to move to from out of state, be sure to read, Ever Heard of the Seattle Eastside? Why It's Popular. You'll quickly learn why the Seattle Eastside is drawing people from all over as a place to relocate to! So what's the cost of Seattle moving? We consider ourselves five star quality Seattle movers holding ourselves to a high bar of excellence with every client. Even so, we offer affordable rates for the high quality of moving we deliver to our customers. What about Seattle long distance moving? At Lake Union Movers we are more than just local movers. We are experienced in long distance moving across the state of Washington and nationwide, to or from Seattle. Located in a Seattle neighborhood? Read about our Ballard long distance moving services and Green Lake long distance moving services if you're relocating to or from Ballard, Green Lake, or any Seattle neighborhoods. When it comes to comparing Seattle's best movers to Lake Union Movers, follow the link to see why we stand out as one of the best moving companies serving Seattle. If you still need to read more, learn why we are one of the best Seattle movers for local moving and also one of the best Seattle movers for long distance moving. Need long distance moving? Read more about our Seattle long distance moving services. How else do we stand out as movers? We are Seattle movers with trucks and won't ask you to take the risk of driving a full size moving truck. Lots of accidents have taken place (especially at apartments and condos) with moving trucks. Leave the driving to us! When you move with us, we hope to stand out as a five star Seattle moving company. If we indeed give you that five star feeling during and after your move is completed, please consider telling our Yelp visitors just how we did. We also appreciate any referrals you can give us to family and friends who need moving in the near future. So you need professional assembly or disassembly of brand new or long time owned furniture? As Seattle furniture movers we can take apart and or assemble furniture as part of a move (if you opt for the service -- let us know your needs beforehand so we can include it in the final cost). Holding ourselves to a high bar of customer service and satisfaction, we can be trusted and relied on for moving estates and luxury home furnishings in and around Seattle. Our optional professional packing services can be relied on for expert packing of all your high priced or otherwise fragile items that require extra care every step of the way. What's the Cost of Seattle Moving? Why Do People Like Seattle? 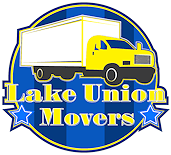 Lake Union Movers was created by a demand for quality movers in the Seattle and surrounding areas. Our prices include the truck, movers, fuel and all equipment. Packing and boxes are considered a separate service and part of our 5 Star Package. Thank you for choosing Lake Union Movers. 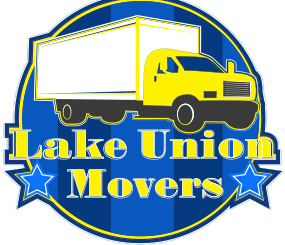 Welcome to LakeUnionMovers.com. Our site is packed with information and moving tips on Seattle area moving. See: Seattle Professional Moving and Seattle Packing / Unpacking Services. Considering a long distance move to or from Seattle from the lower 48 states? Not only can we tackle this move for you, but we can give you a ballpark cost in advance on the price of moving. See: Washington State Long Distance Moving. We value great talent, and what we look for are a positive attitude, that you are clean cut and with good character references, and then we hand train you to be a part of the Lake Union Movers team. See: Seattle Jobs in Moving.